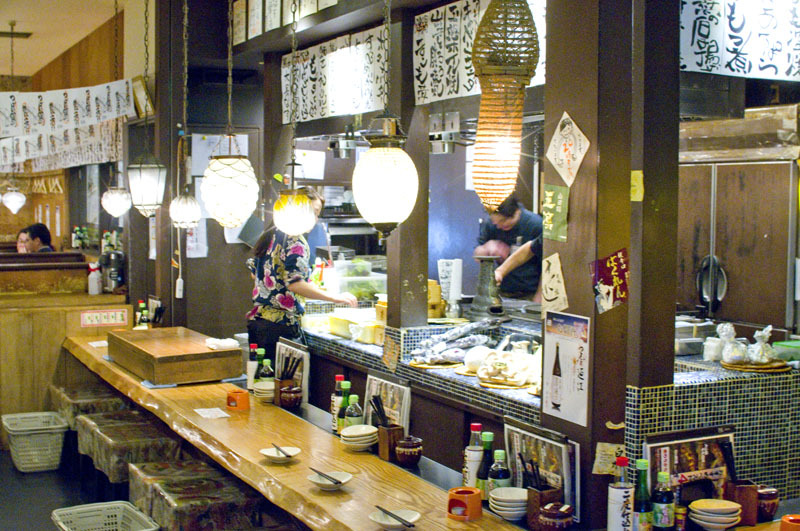 The down-home decor, warm service and extremely lively atmosphere give this shop the feel of a real old-school izakaya, although they've only been open since 2012. 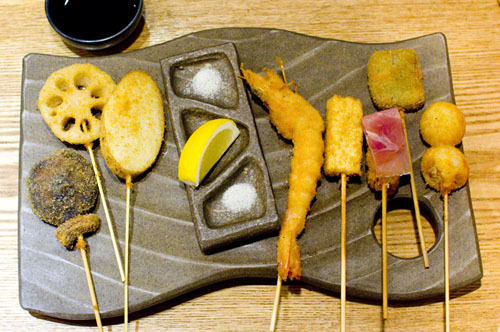 Charcoal-grilled seafood, meats and seasonal vegetables are the specialty, along with deep-fried kushiage morsels. Some recommendations include the grilled beef tongue, smoked bacon, grilled asparagus and eggplant. The most popular menu item is the kushiage. Delicate in flavor, with a thin breading and very little oiliness, the skewers don't even need sauce, just a bit of salt to enhance the natural flavors. An assortment platter of six skewers runs Y1100, or you can choose from ten different varieties by the piece (or try them all). The anago (eel) is a standout, as is the very fresh-tasting asparagus, and the reasonably hefty chunk of foie gras. 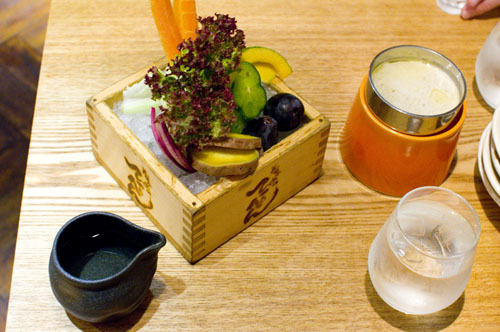 There's also a nice selection of sake and shochu from around the country, and of course beer. Budget around Y4000 for ample food and drink.